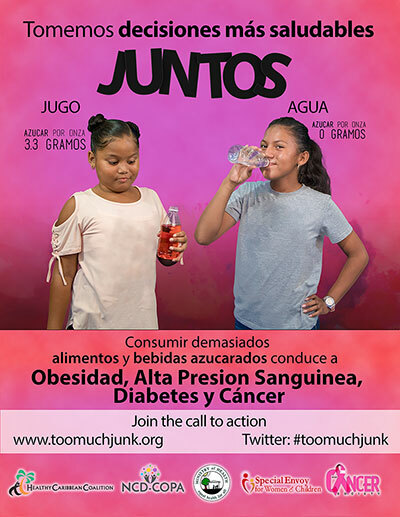 Specific project outcome: Advocacy for policy and legislation to ban sugary and unhealthy beverages in and around schools in Belize. The Prime Minister of Belize, the Honourable Dean Barrow, supported BCS initiatives and pledged his commitment to agitating for a policy or possible legislation to ban sugar-sweetened beverages (SSBs) in and around Belizean schools. The Attorney General and key Ministers and Ministries also supported the initiative. Local CSOs and government provided in-kind resources and were enthusiastic about the COP initiative. The local City Council viewed COP issues as important and initiated steps to sensitize street vendors on the harms of the products they are offering. The HCC/CDB Capacity-building Workshop hosted by BCS, which was held to develop the project Action Plan, played a critical role in strengthening relationships with local CSOs. They appreciated the materials and information provided, and the exchanges made, and indicated that they would duplicate lessons learned in their own respective organizations. 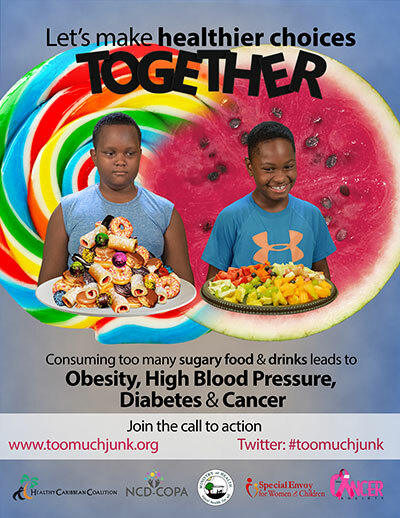 Networking and advocacy resulted in the establishment of the Non-Communicable Diseases-Childhood Obesity Prevention Alliance (NCD-COPA), which was officially launched in May 2018 and solidified with signatures of commitment in the first week of August 2018. NCD-COPA members currently comprise the Belize Family Life Association (BLFA), National Health Insurance (NHI), Belize Kidney Association, Belize Diabetes Association, Office of the Special Envoy for Women and Children (SEWC), Pan American Health Organization (PAHO), Belize City Council, and the Government of Belize. A one-week water campaign was held on social media to raise the awareness of the importance of water consumption. The aim of the campaign was to urge persons to consume more water and ensure their children are drinking the necessary amount to keep them functioning and healthy while incorporating some physical activity in their day. The campaign received a high level of interest and community participation and was also supported by NCD-COPA members and the Mayor of Belize. Interview and discussion segments on local media, led to increased buy-in by parents, children and the wider community. Online marketing, social media promotion and alternative modes of virtual education played a critical role in building the awareness of this COP initiative. 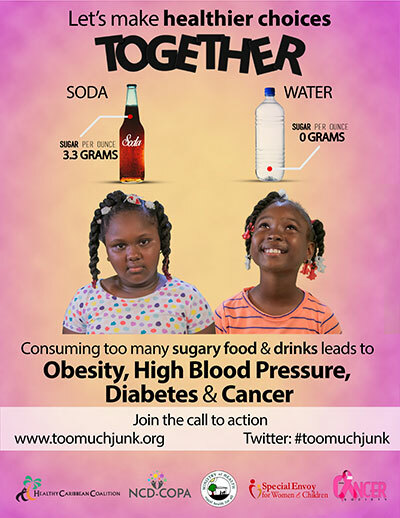 Extensive media appearances supported the success of the campaign and built the awareness of childhood obesity. Belize Cancer Society is on Twitter and Facebook. Involvement of “real-life” children and teenagers, not actors, in the implementation of the communication plan contributed to the positive feedback received from stakeholders and the community. Support received from Alliance member Special Envoy for Women and Children for one month allowed continued airing of the COP public service announcement (PSA) on a local TV station. See PSA here. The social media campaign inspired children to get involved. Alliance member BFLA and BCS held a COP creative arts competition, which was won by Ari who submitted a video where he explained why exercise is important to him. NCD-COPA participated in a back-to-school event which hosted over 100 children and the segment was broadcast countywide. The segment and interview urged children to exercise, drink more water and eat more fruits and vegetables. This was done in partnership with Channel 5 Great Belize Productions. 4 text blasts consisting of targeted direct messages, reached over 110,000 SMART Speednet Communications customers over the life of the campaign thanks to the company’s sponsorship. 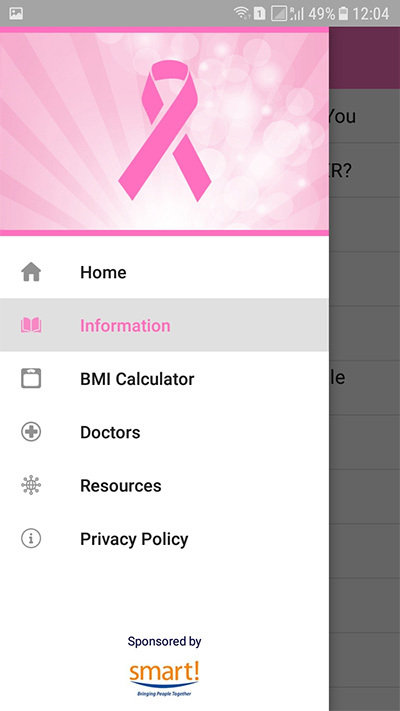 Partnership with SMART Speednet will birth the development of the first BCS Health App, which will provide COP information in addition to information on NCDs and links to local CSOs website and social media pages and the HCC. Supported the HCC Call to Action (CTA) for Heads of State and Government to address COP, which garnered a high level of support from the community. 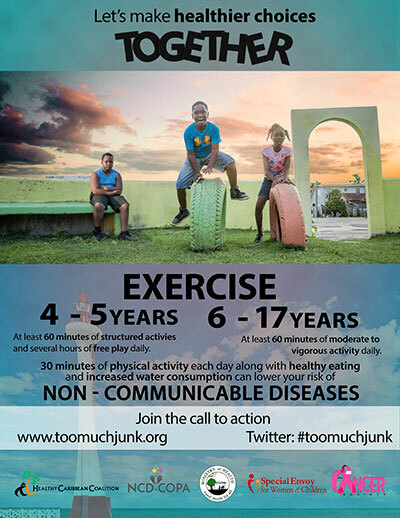 This was an absolute success as Belize was the leading the Caribbean countries in the Region when it comes to response to the CTA via the website www.toomuchjunk.org. Gaining the support of the Special Envoy for Women and Children, which was critical and highly valued in this area, as communication materials are being displayed via the Office of the SEWC platform. This Office includes persons with disabilities among those it serves. Signing of a pledge of support by the highest leaders of the country, most importantly our Prime Minister, Minister of Health, Attorney General, Leader of the Opposition and local CSOs, which provides a concrete commitment of support for all future initiatives and actions taken towards a policy and legislation for a ban on SSBs. Providing local school vendors with the opportunity to receive valuable health information, basic health checkup and education on how they could introduce more water, fruits and vegetables into their sale products to children. Urging them to provide healthier snacks by limiting the salts and sugars in their products. 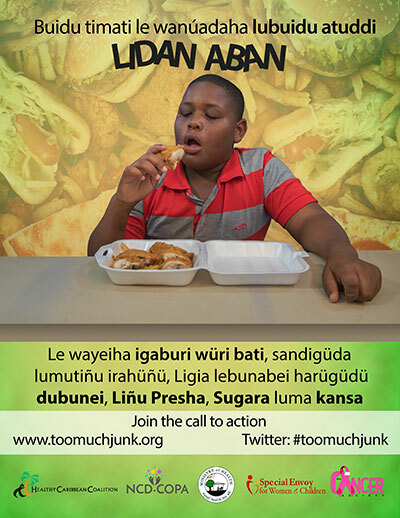 The campaign led to a child affected by obesity making a lifestyle change and becoming a champion for the cause who encouraged other children to make a lifestyle change. His efforts are highlighted in the campaign as an Ambassador for change by making the first step. See video here. Support from young persons and volunteers for the Call to Action to increase the community’s education and understanding of the campaign and all that it entails. Provision of multi-language unbiased education to various at-risk communities. Dialects included English, Spanish, Mayan and Garifuna. Materials was greatly appreciated by rural communities. 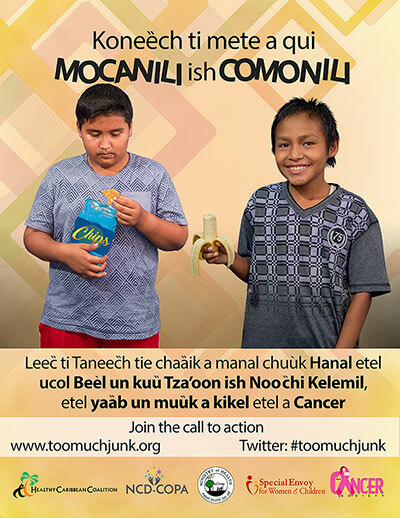 Three rural Mayan communities were sensitized on childhood obesity and advocacy. The BCS was invited to sit on the National Committees for Families and Children Health committee as a result of this campaign. BCS President now on the Ministry of Education Health and Family life Education committee. BCS provided support for increased childhood obesity education and awareness at 5 community fairs., Two fairs were held in Belize City, one at the BCS compound and the other in a vulnerable at-risk Southside community known as Yabra, while the other was held in Burrell Boom which is a river valley community in rural Belize approximately 45 miles from the city. The other two fairs were held in Bigfalls and Laguna Mayan villages, which are located in Toledo, 115 miles away from the city. 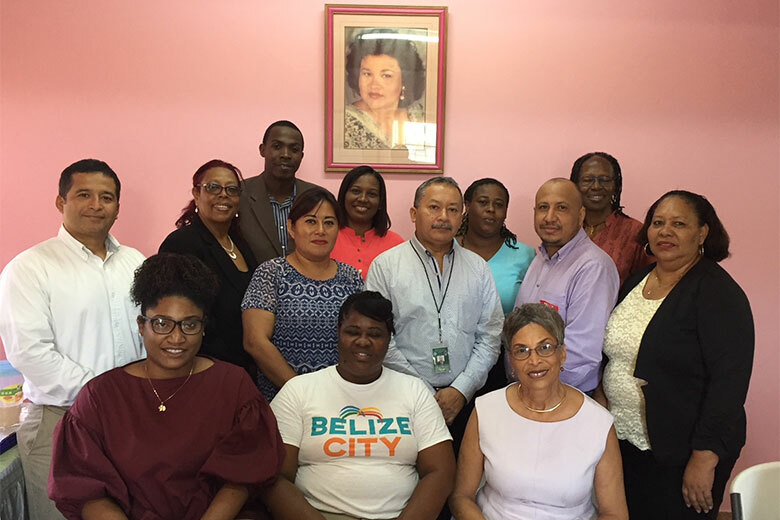 The CDB grant funded CSO capacity building workshop took place at the office of the The Belize Cancer Society (BCS), in Belize City, 5-7 February 2018. Fourteen persons participated in the three-day workshop, including representatives of the BCS – Ms. Laura Tucker-Longsworth, President, and Ms. Heather Reneau, Administrator.